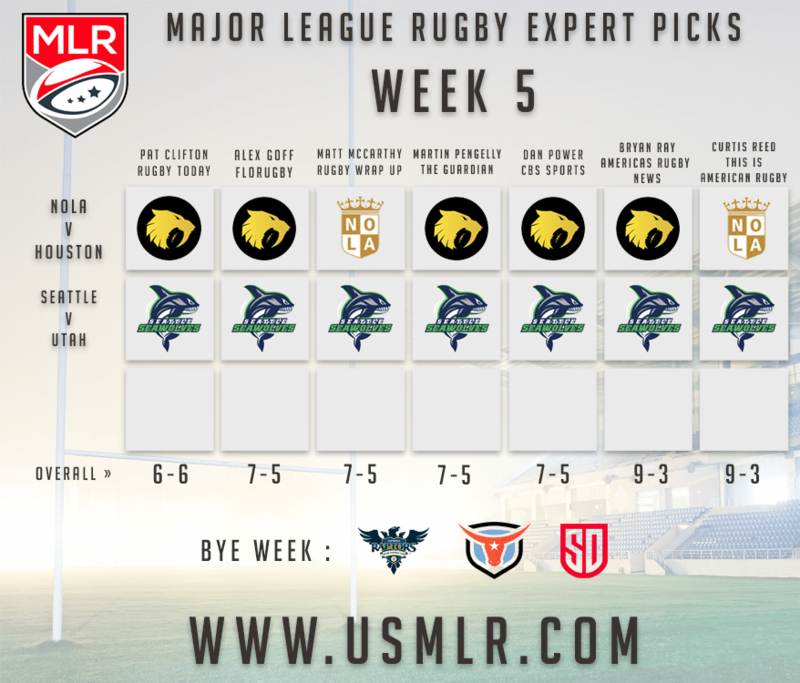 MLR Week 5 Picks: Who Ya Got? Only two games on deck, but great match-ups to tune into! It's a tight margin this week with only two games on deck. Houston makes the quick trip to to New Orleans while Seattle host Utah at Starfire Stadium. NOLA comes out of a tight 29-31 game with Seattle, looking to get back in the win column, but will face a rested Houston as the Sabercats come out of a bye week. Seattle looks to keep on a roll after last weeks victory and recent jump to #2 in the standings over an idle San Diego. They'll face Utah this week, who have had their struggles early, but picked up a strong win last week so confidence will be high. 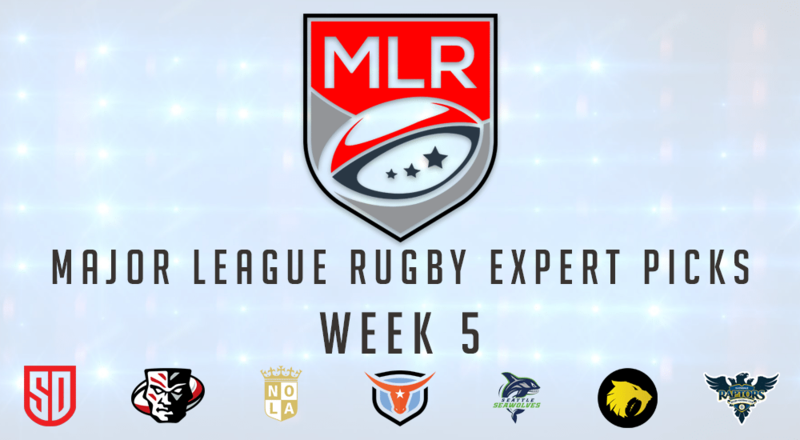 Catch both MLR games this weekend on ESPN+ and CBS Sports Network, after taking a peak at who the rugby experts have in the win column for Week 5.